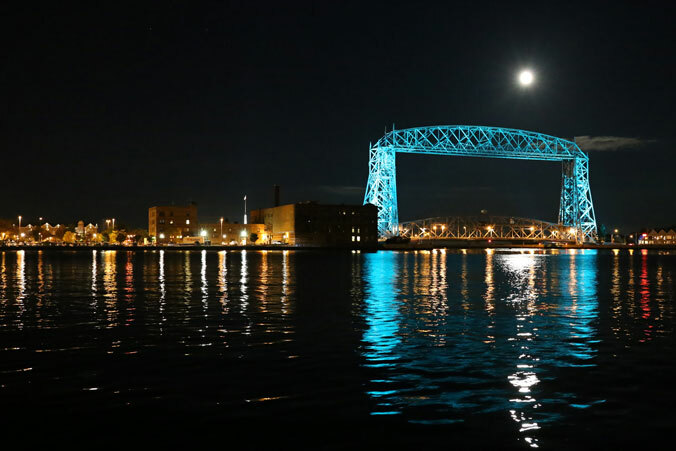 The Aerial Lift Bridge was lit up in teal this past weekend to raise awareness for ovarian cancer. Along with a (near) full moon, it made for a beautiful display. Gorgeous as is the moon tonight! What fun! The North Shore is incredible. Mike and I are lucky to live so close to so many beautiful areas. We took our mountain bikes on a 7 mile trail ride this weekend. The last mile or so ran along the Lester River. Gorgeous! Looking forward to the changing leaves and many more photo opportunities. Hope you have a wonderful Fall as well!